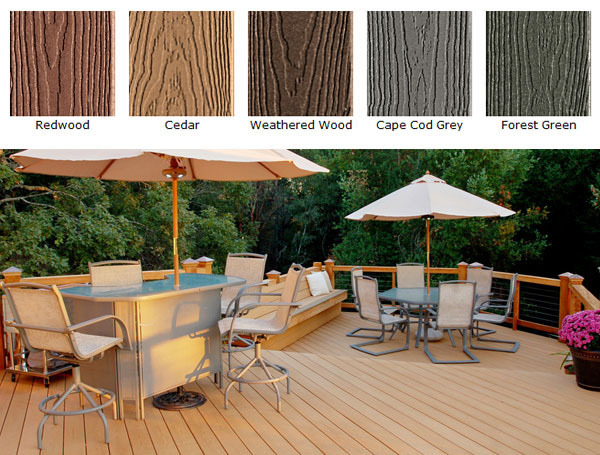 Nothing enhances your outdoor living experience quite like Tamko EverGrain Decking. Evergrain decking is made with an exclusive compression molding process that creates deep grain beauty, you get strong boards with outstanding durability and consistency. This composite decking doesn’t require staining or painting and is available in five beautiful colors to perfectly complement any home. It comes with a 20-year Limited Warranty, including a 5-year Full Start Period, to underscore its lasting performance. Add smooth, sleek beauty to your EverGrain deck. EG 1•2•3 Hidden Fasteners enable you to create a smooth deck surface for a whole new level of style and sophistication. They offer outstanding stability without the bounce and squeak of other hidden fasteners and also provide excellent hold-down power against wind uplift. EG 1•2•3 Hidden Fasteners come with a 15-year Limited Warranty. 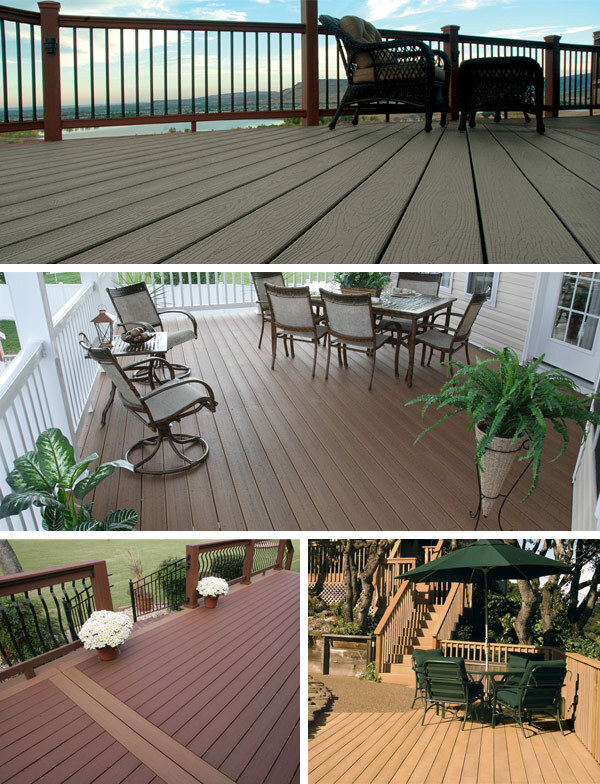 We provide sales and design services of Evergrain decking products to all areas of the Southwest Virginia area, including Roanoke, Lynchburg, Franklin County, Bedford County, Pittsylvania County, Salem and beyond. Have A Question About Evergrain Products?